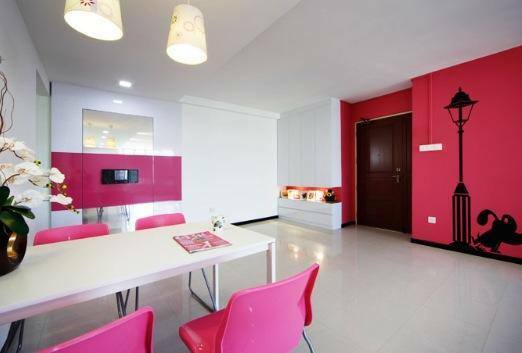 This home is Designed with a mix and match styles to give a unique personality. 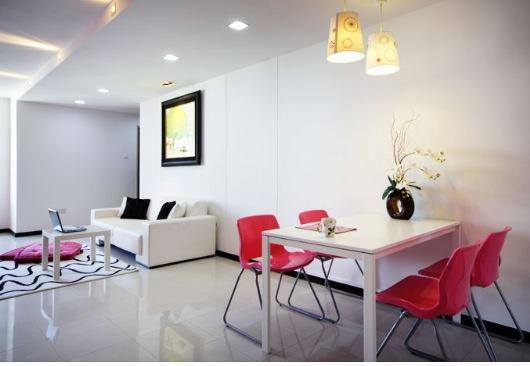 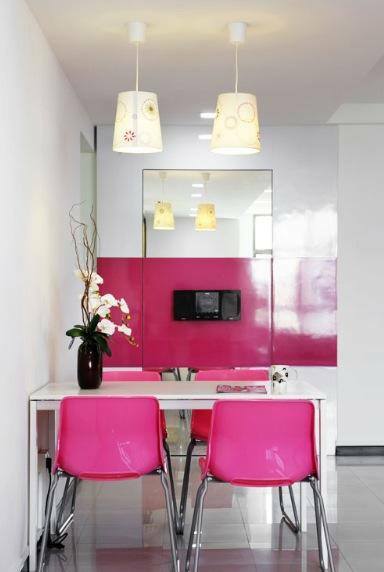 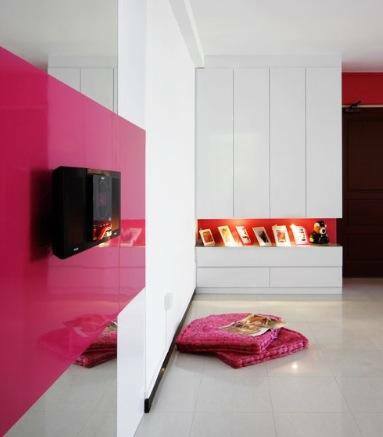 Minimalism pink-and-white scheme was used consistently throughout the house. 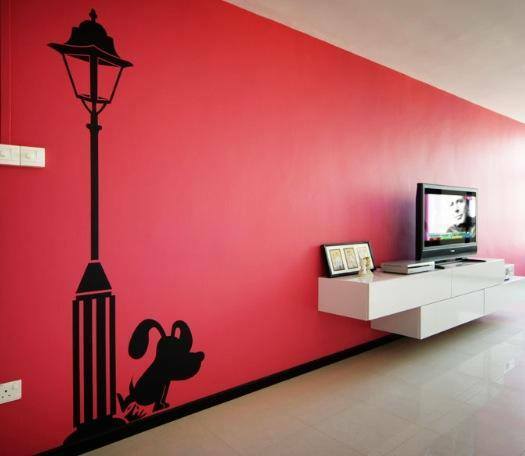 Touches of black were used to break out in several locations to improve the decor.